Editorial: Tel. No. 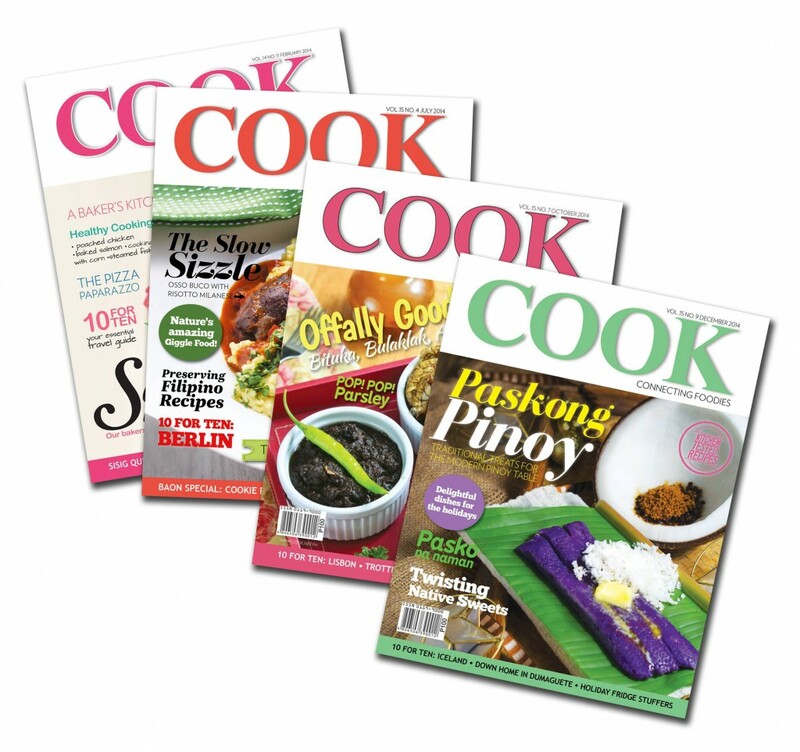 814-0134 to 37 local 108; Website: www.cookmagazine.ph; e-mail us at editor@cookmagazine.ph. Copyright 2004 By Philippine Graphic Publications, Inc. No reproduction without permission of Philippine Graphic Publications, Inc. All Rights Reserved. Entered as second class mail at the Makati Central Post Office under permit no. 722-00 – NCR dated August 21, 2000.
at 3/F Dominga Bldg. III, 2113 Pasong Tamo cor. dela Rosa St., Makati City.